Joyce Mae Lobb Rock, 84 of Cave City, passed away Saturday, March 23, 2019 at the T.J. Samson Community Hospital. She was a native of LaRue County and member of the Cave City Baptist Church. She was a devoted mother, grandmother, gardening enthusiast and a lifetime lover of all God's creatures. She is preceded in death by her parents, Earl Lobb and Mary Louise Mather Lobb. 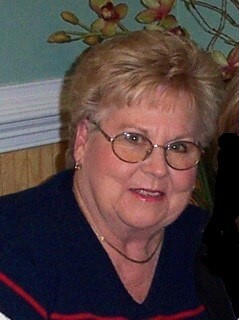 She is survived by her four children, Dennis Rock (Mary Beth) of TX, Paula Rock (Robert Johnson) of Cave City, Rodney Rock (Pam) of Scottsville, and Michael Rock of Bowling Green; four grandchildren, Joshua Rock (Stephanie), Justin Rock (Ashley), Jacqueline Erbse (Kelly), and Mary Leigh Rock; a great grandson, Brayden Erbse. Funeral services will be held at 12:00 p.m. CST on Saturday, March 30, 2019 in the chapel of Winn Funeral Home with burial to follow in Red Hill Cemetery in Hodgenville, KY.
Visitation will be from 4:00 p.m. until 8:00 p.m. CST on Friday, March 29, 2019 and will continue on Saturday from 10:00 a.m. CST until the time of service. In lieu of flowers, donations may be made in Joyce's memory to the A.R.K. Animal Rescue Kare or the humane society.